Tuesday, January 20, 2004 ­ The Society for Arts and Technology [SAT] and its partners, Montreal ACM SIGGRAPH and Vidéographe, are proud to invite you to the debut edition of ANIMA 04. scheduled for Saturday, March 20, and Sunday, March 21. This invitation is extended to all animators, be they students, independent artists or industry employees. Through this event, SAT and its partners aim to showcase Canadian talent in computer animation and encourage bridging with other disciplines that have been spawned by the digital culture. ANIMA 04 will serve as an exclusive showcase for the artistic quality and technological advances in computer animation in Canada. The widespread use of tools and equipment for animation production and the growing interest in animation have triggered an upsurge in original creations resulting from individual, private and public initiatives. Regrettably, until now no gatherings have highlighted the vitality of this sector and recognized the artists behind these works. SAT initiated ANIMA 04 to create an annual meeting place for this community. The event will culminate in the awarding of ANIM_ALL prizes at a gala evening. The program includes projections of animation works from across Canada selected by the ANIMA 04 jury, the workshop Acting for Animators by Ed Hooks; the round table All about animation with René Morel Luc Otter and other renowned participants; a multimedia performance with the music of the composer Érik Satie; a presentation of SIGGRAPH’s Electronic Theater 2003, in special collaboration with Montreal ACM SIGGRAPH ; an exhibition of virtual network space entitled Virtual World of Art, a project by Thomas Soetens and Kora Van den Bulcke of Workspace-Unlimited. 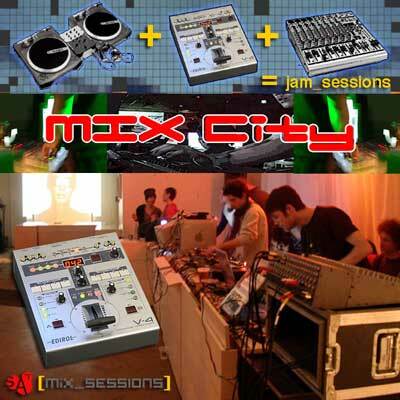 On Saturday evening, MIX_City will be animated by the collectif SAT[mix-sessions], which will screen real time animated works on site and live on the Internet. SAT has hosted the monthly conferences of Montreal ACM SIGGRAPH since its inception in 2001.